Anyway. 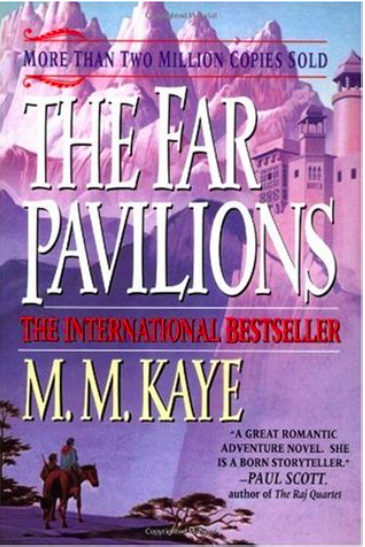 After a solid month of reading (with some other audiobooks mixed in), I have finally finished the 950-page behemoth that is The Far Pavilions. Written by M. M. Kaye, in 1978, this is an epic story about an Englishman, raised as an Indian, who falls in love with a half-Indian princess against the backdrop of the Second Anglo-Afghan War in the late 1800s. (Did you know there was a second Anglo-Indian War? I never knew there was a first, but I'm a Yank and we are not taught such things in school. I barely learned about the British Raj and the East India Company). So. The book start with the birth of young Ashton Pelham-Martin, born in the Himalayas in the 1850s to English parents -- an eccentric academic father and a young mother who dies in childbirth. His father then dies of cholera during the Indian Rebellion of 1858. Fearing for his safety as a foreigner, little Ash is then raised by his Indian nurse Sita as Hindu boy whom she renames Ashok. (He has dark hair and eyes and can pass for a native). He spends much of his childhood knowing nothing of his family history and ends up as a servant in the local prince's household, until palace intrigues force his adoptive mother to reveal his true parentage and return him to his ancestral home in England. Because of his upbringing, Ashton's loyalties are forever divided between his Englishness and his love for India, and eventually he joins the military and returns to India, where his knowledge of Indian language and culture make him both invaluable and suspect to the British Raj. There is romance, there are intrigues, there are battles and action scenes galore. Also, lots and lots of war strategy and politics which I wasn't expecting. It's a very dense read so I definitely couldn't zip through it. (But I did learn that the Soviets invading Afghanistan in the 1980s wasn't a new idea). Overall, I really enjoyed the book but darn it all, my edition was 955 pages with tiny print and very narrow margins, and honestly, I think M. M. Kaye could have used some more editing. Naturally, there are amazing coincidences and lots of exposition where characters are explaining political and military history and I do feel like there was a lot more telling of events than showing. Plus, the book is so huge, I really feel like it could have been split into three stories: Ash's childhood, the love story with the Indian princess, Anjuli; and the Afghan war story. Also, I found Anjuli's character to be incredibly undeveloped and there are chapters upon chapters when she's barely mentioned, which I found irritating. She's hardly in the final third of the book at all. One of the blurbs on the back cover describes it as "a high-adventure love-story" but if you're looking for a sweeping romance, this isn't it. 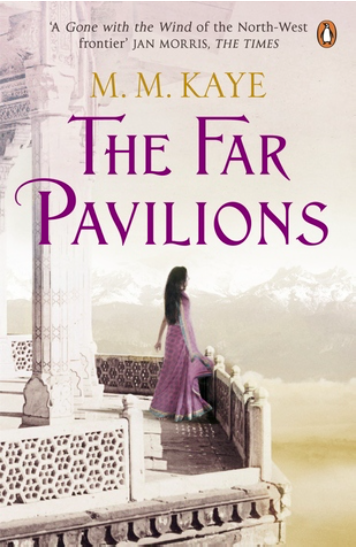 I was expecting Gone With the Wind in the Himalayas, but there's far more war and politics than character development in this book, which I found disappointing. Also: NO MAPS, which is a pet peeve when characters are traveling in books, and there is a lot of traveling in this one. I am unfamiliar with Indian and Afghani geography, so I found this especially irritating. (However, they do include a diagram of a military compound). However, I did like that Ashton really was supporting the Indian and then the Afghani viewpoint, rather than blindly following the British Colonial idea that White People Know Best. I'm debating now as to whether I should watch the 1980s TV adaptation, which turned a book of nearly a thousand pages into a six-episode mini-series starring lots of white people, including Amy Irving as a half-Indian princess. Seriously. That's Ben Cross as the adult Ashton, and Amy Irving in brownface as Anjuli. Really. I'm still planning on reading The Raj Quartet (also turned into a mini-series), which is thankfully divided into four different books since it totals nearly 1800 pages. And A Suitable Boy, because it would be nice to read an epic book set in India actually written by someone Indian. It won't be for a while because I'm not quite sure if I can dive right in to another epic doorstopper. 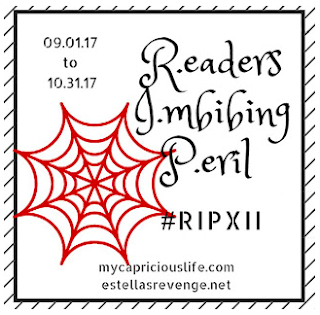 Another Readers Imbibing Peril? How can I resist? 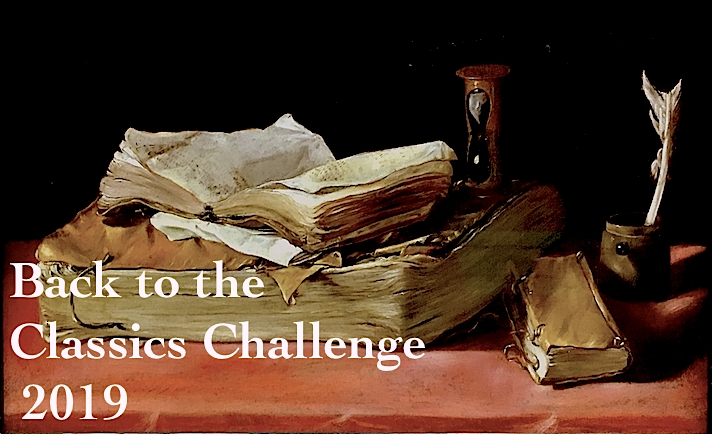 It's the 12 time around for this challenge, which I have attempted off and on since I began blogging in 2009. 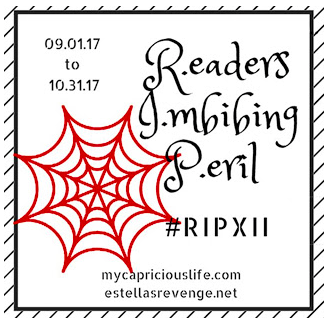 This year I'm signing up for Peril the Second, only two books over the two month period, since I have so many other books I'm trying to finish. The Mystery of Edwin Drood by Charles Dickens. 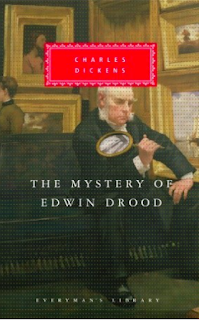 My final novel of Dickens' major works. I've never made it past the first couple of chapters, but I'm going to give it another try. 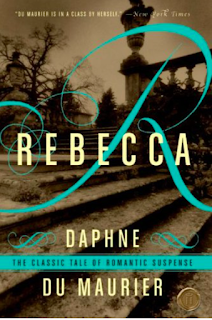 Rebecca or My Cousin Rachel by Daphne du Maurier, both rereads. 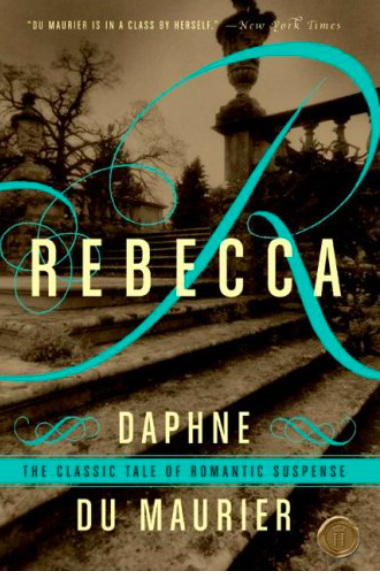 You can't beat du Maurier for a great Gothic read. 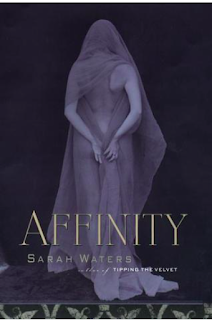 Affinity by Sarah Waters -- I've read nearly all her books, and this story about the supernatural in a Victorian women's prison is perfect for the challenge. 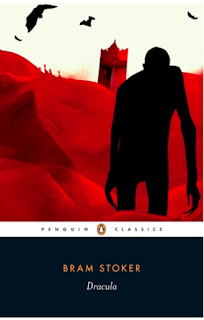 And finally, another reread -- Dracula by Bram Stoker just because . . . . I AM GOING TO TRANSLYVANIA IN OCTOBER!!! SERIOUSLY!!! 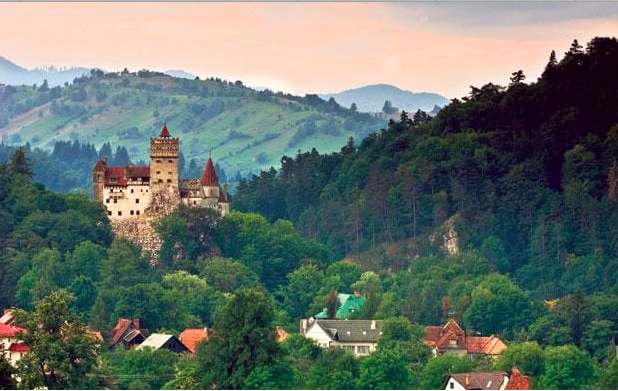 I leave October 28 and will be visiting Bucharest, Brasov, the Carpathian mountains, Dracula's castle etc. And I will actually be there on Halloween! (Well, it's our last day, so I expect much of it will be spent in the airport, which is scary in another way). I don't normally sign up for group travel because I am not always a people person -- I like my personal space and the thought of joining a tour of complete strangers for four days, much of it spent on buses, is not my idea of fun. BUT nobody in my family wants to go and this may be the only chance I get, plus I sincerely doubt I would attempt this on my own. I'm not averse to solo traveling but Romania sounds like a place best done with an organized group. I've easily booked travel myself through Italy, France and the UK, but Romania might be a challenge, so I'm going with the group option this time. I did spring for the single-room supplement so I know I'll have somewhere to escape by the end of the day. It might end up being completely cheesey and touristy, or it might be very cool. Or both. Nevertheless, I'm kind of excited about it but the only preparation I'm planning is the reread of Dracula, which I may save for the trip because I can always use my book as an excuse to be anti-social. Anyway -- other suggestions for the challenge? Reading material for the trip? Anyone else actually been to Transylvania, or anywhere else in Romania, for that matter?